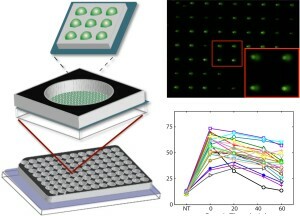 fluorescent imaging of live cells is highly genotoxic,Cytometry A, 83:552-560 (2013). D. M. Weingeist, J. Ge, D. K. Wood, J. T. Mutamba, Q. Huang, E. A. Rowland, M. B. Yaffe, S. Floyd, and B. Engelward. M. W. Chao, M. Y. Kim, W. Ye, J. Ge, L. J. Trudel, C. L. Belanger, P. L. Skipper, B. P. Engelward, S. R. Tannenbaum, G.
species. Toxicol Sci. 130(1):48-59 (2012). using microwell arrays, Proc. Natl. Acad. Sci. USA,107:10008-10013 (2010).